The Society has a vibrant network of regional activity. Our branches arrange local events which are a great way to develop professional contacts and to share interests. 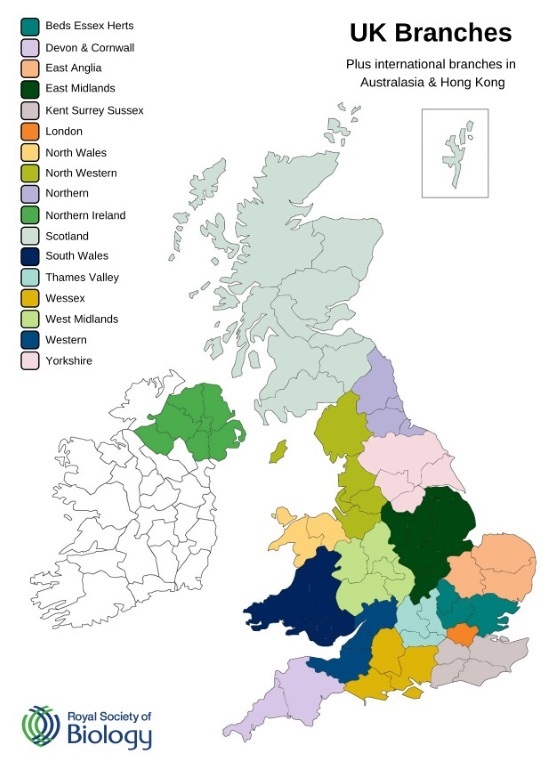 The following branches are currently recruiting for new committee members, visit the branch pages for details on their recent activities: Beds, Essex and Herts, East Anglia, North Wales, North Western, Northern, South Wales, Thames Valley, Wessex, Western, West Midlands, Yorkshire. Branch resources is a list of useful documents for our regional committees. We have guidance on running a branch as well as step by step guides on delivering successful activities. If there are any other resources you would find beneficial please contact us.